Bill LeBoeuf Jewellers takes great pride in providing our customers with a premium customer service experience and Barrie’s finest selection of watches, diamond and gemstone settings, including jewellery in platinum, white and yellow gold. Our in house custom jewellery designs range from engagement rings and wedding rings to diamond pendants and earrings. In addition, we are continuously updating our estate jewellery collection which includes watches by Rolex, Tag Heuer, Cartier and Breitling as well as many other premium brands. Our on-site gemologist and goldsmith designers are highly knowledgeable and are available to share their years of experience with you. They will answer any questions you have about your existing piece or will assist you in finding or designing that unique gift. Let us earn your trust. We have been doing that with our customers from the Barrie and surrounding area for the past 60 years and with the recent expansion of our on-line offerings, we are excited to be building customer loyalty all over Canada and the United States. 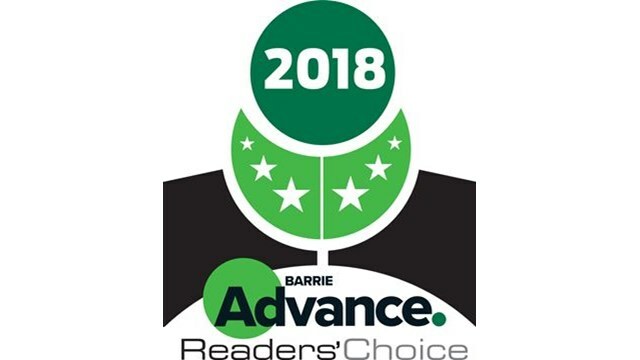 Bill Le Boeuf Jewellers have won the Barrie Advance Readers Choice for 2018 as Barrie’s favourite jewellery store! Bill Le Boeuf Jewellers have won the Barrie Examiners Best Of Barrie Award for 2017! Thank you to the community for supporting us over the past 60 years. We are always looking to buy your estate pieces including brands such as Rolex, Cartier, Breitling, Tag Heuer, along with gold and diamond jewellery. Learn more about the 4 Cs of diamond grading with this interactive tool and video explanation. You’ll soon understand how diamond quality is evaluated.